When it comes to life’s fun events, cleaning up doesn’t have to feel like a chore. Inspired by the fun people can have making messes, Glad recently launched its #TrashCrashers campaign, which leverages visual storytelling, influencer partnerships and events in an effort to make people view cleaning up in a new way. The campaign preview launched recently with a teaser video for the first event, Beverly Hills “Trashy” chic clothing swap hosted by Jennifer Brandt of Perfectly Disheveled . The video will launch on March 10 and will show the party festivities, such as guests receiving their Glad Black Bags to carry come their clothing swap haul, enjoying ‘trashy tacos’ and exchanged ‘trash cash’ for a chance to win a consultation with local celebrity stylist and one year supply of Glad Black Bags. The video will also showcase a surprise visit from the #TrashCrashers cleaning crew, who clean and put on a show. Upcoming videos and events in the campaign include a Bourbon & BBQ soirée Kelly Lee of Kelly Golightly, featuring an event with hand crafted Bourbon cocktails, Southern fare, and a Slim Aarons inspired photo booth, complete with vintage props. Another video will star Jessie Jane, Lilyshop founder and entertaining expert, hosting a Charity Crafting party. At the party, guests will be tasked with creating Glad craft bags— including everything you need to make the perfect princess crown— all sent to children’s charity, The Painted Turtle. What’s unique about Glad’s approach is how the company is partnering with creative influencers with large social followings to co-host an unexpected experience where trash bags are a focal point. 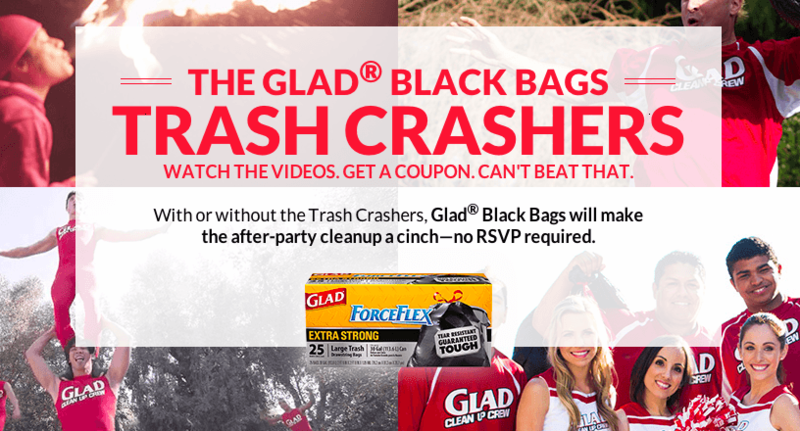 Most may not associate Glad’s black trash bags with a chic event, but the creativity and execution of the blog content delivers on Glad’s goal of showcasing the more spirited side to cleaning up. It also raises awareness of the Glad brand to a key demographic of women who favor lifestyle and entertaining content. 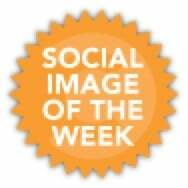 The campaign is hosted across a dedicated microsite, which pulls in visual Glad #TrashCrashers content across numerous social media channels, including YouTube, Twitter, Instagram, and more. Viewers also have a chance to watch the produced videos in order to get coupons for Glad Black Bags. The campaign thus far is heavily reliant on the Glad produced teaser videos and behind-the-scenes content generated from the influencer’s owned blogs and social media channels. It will be interesting to watch the official roll-out of the campaign and see how Glad pulls in some of the best visuals onto its owned social media channels as a way to further amplify its influencer strategy. Tease behind-the-scenes photos from each event leading into its official video reveal. Create dedicated Pinterest boards themed to each event as a way to help further distribute entertaining tips, crafts, recipes, and more. Make each influencer a guest pinner to further curate the recommendations and content. Involve the Glad community by hosting a photo contest across its social channels using the dedicated hashtag to have people show their at-home #TrashCrashers clean-up moments with Glad for a chance to win a great prize, or potentially have the #TrashCrashers come “crash” and clean up after their next party. Use response and reaction from each video and contests to cede additional brand generated content, Twitter parties and mini fan challenges (doesn’t have to be a formal contest) to further encourage creation of user-generated content from fans. If the company continues to pursue these types of events in the future, they could also consider hosting a sweepstakes or contest through its owned channels (or via the influencer’s channels) to win an invite to one of the parties, or an exclusive swag bag from the event. Until then, file this campaign under one to watch and learn from.